Emmy nominations came out today and they’re extremely frustrating. I’ve never claimed to watch the most popular or hit shows on television, if I do, it’s usually after they’ve ended or the hype has gone down. I watch oddball stuff, the low-rated critical darling comedies (on NBC lol) and sci-fi/fantasy/action stuff (I’m binging Arrow, and I’m really enjoying it so far!). The shows I watch are hardly ever nominated. It’s not like I’m expecting Sleepy Hollow to win all the awards, I’m not. But Emmy noms make me wonder who is voting for the shows that get picked. Is it a representative sample of television watchers? Or just a bunch of old white men (and probably some women, which is good but not great) like every other prestigious committee? So who is voting for Game of Thrones but has no interest in Orphan Black? Who is voting for fantastic women on Netflix but isn’t interested in one fantastic woman playing many fantastic women on BBC America?I get that there are many other considerations to voting, people’s personal interests and whatever the For Your Consideration choice was, but for a second year in a row, an amazing actress was overlooked. And that doesn’t count the mainstream snubs: I don’t even watch The Good Wife and I think it was snubbed for a best drama nomination. I wish we knew more about these voters. Where are they coming from? What makes them decide the way they do? Do we need an upgrade of the entire system? Like many things, I kind of imagine they haven’t changed the way they do things, or include people, in ages. Have they widened their net of voters in this ever expanding age of television? They need more sci-fi watchers, more fantasy watchers, more young people, more people who will vote for Amy Poehler to finally win that comedy award she so achingly deserves (they’ve got this year and next to recognize. She might get another show immediately, but she deserves it for Parks so, so much). There’s more television happening than ever before and it’s not being looked at by the Emmy committee. There are more networks, more internet voices coming to play in the big leagues; have we included voters to represent those new voices that these new networks and new shows are trying to bring to the forefront? The Emmy pool just tells me that the efforts being made to bring diversity to the screen isn’t being made in the voting pool. Maybe we need a category for science fiction, since it’s the most snubbed TV genre that I can think of. Maybe I am wrong or misinformed, but the selections aren’t showing the true pool of talent on television and isn’t that what the Emmy’s are for*? *The answer is probably actually all about money. So everything I said means nothing. Except, the Good Wife is a hit show on the “number one network,” you know some hefty money is involved there. Ok, I’m done rambling about Emmy snubs now. 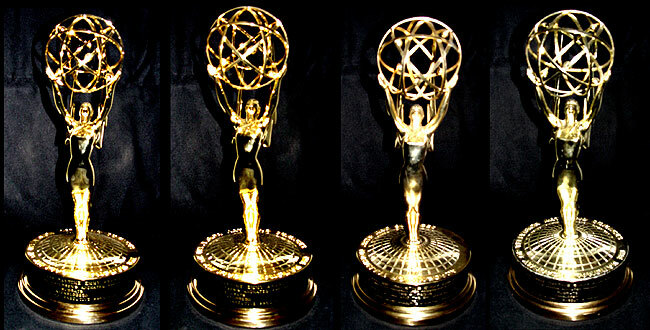 Primetime Emmy Nominations Announced – Who Was Snubbed This Time?